1862 Indian Head penny value of a well preserved example is over $43. Your coin, if one of the few to survive without "problems" is sought by many collectors. Many of the hazards of heavy use, over such a long period, results in old pennies enduring scrapes, bending, dents and lots of wear. 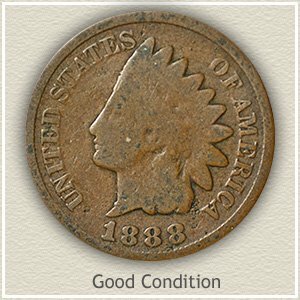 An 1862 Indian penny without these distractions is the exception and highly valued by dealers. Very rare are coins in the same condition as when leaving the mint. Pictured is an "uncirculated" 1862 penny worth easily $111 because of its outstanding brightness and mark free surfaces. Also enjoying popularity by many, Indian pennies minted during the US Civil War years are especially popular. Made of copper-nickel a different metal alloy than later pennies, your coin is actually heavier and thicker than the rest of the Indian series. Combine all the above, popularity with large demand, few nice survivors, made of a special different metal alloy and the important Civil War years, your coin has a lot going for it. 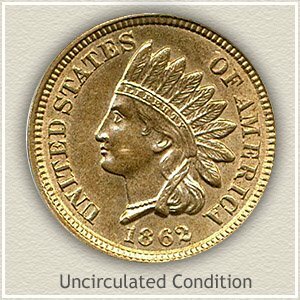 When found in excellent condition 1862 Indian head penny value can reach into the hundreds of dollars. 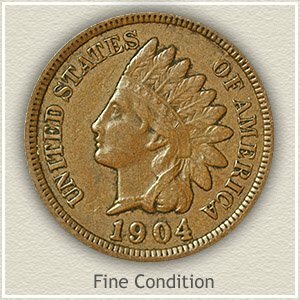 Of all the available Indian pennies with us today the majority are worn from use. Few of these old pennies have been preserved in like new condition. Of this select group fewer still are with minimum marks, abrasions and original mint luster. As an example of the very top in price, pictured is an 1862 penny that realized $862 at a David Lawrence rare coin auction. Your coin even if worn is an important part of US history and collected by a range of collectors. 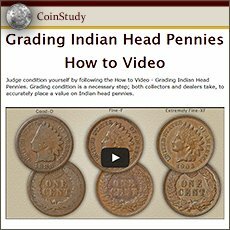 Interest is shared by Civil War historians, collectors of Indian pennies and the affordability of lightly circulated pieces makes them available to anyone with a passion for old coins. Few of these old Indian pennies remain today in above average condition. The demand for higher quality survivors creates a doubling or more in value for the nicer coins. 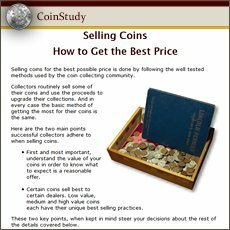 Judge the "grade" and value category of your coin by comparing it to the images and descriptions. Uncirculated: Rare is an 1862 penny in "uncirculated" condition. It is a coin that has never circulated and there is no wear to its surfaces. To confirm your coin is in this condition examine the very ends of the feathers, if wear is present it smoothes out the normal "grain" and flow lines of the metal. Her cheek and extending to include the chin is another area prone to early wear. Again a worn surface shows smoothing to the metal, a distinctly different look compared to the surrounding area. Extremely Fine: In "extremely fine" condition all parts of the design remain boldly defined. Only on the highest parts of the coin is evidence of a flatting to the normally rounded surfaces. One area subject to initial wear is the finer details towards the tips of the feathers. Only the very ends of the feathers should show wear. Also, above the ear the headband and hair is a high point of design attracting wear. Although worn, a clear separation of hair and headband is visible, including the lettering within the headband. Fine: Pulled from circulation with ample detail remaining, Indian pennies in "fine" condition are pleasing. Her face and hair are fully separated with rounded contours. Lettering and date is bold. From the top of the headband, following her forehead and down behind her ear are the highest points of design. It is these areas that wear removes much of the finer detail. Good: 1862 pennies in "good" condition are collectible and worth a nice premium. Although worn to almost an outline, her portrait still shows slight detail. The lettering and date along the rim is clearly visible but in shallow profile. If your coin has avoided any serious dents and nicks and is not any worse than just described, it is considered solid for the grade. A very popular coin, everyone understands and has heard of the value of an Indian Head penny. Common dates are now worth one dollar or more each. Many collectors are building collections and putting a heavy demand on the rare dates and better condition coins. 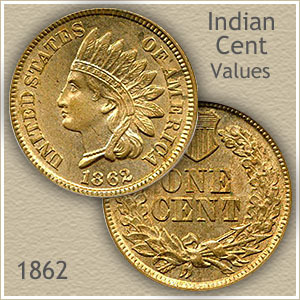 Find not only your 1862 Indian head penny value but all dates in the series are listed on the chart. Penny values are determined by using the grading images to judge condition then checking the date and values on the charts covering each series of US pennies. Discover all the rare varieties, dates and mintmarks.